If you are looking for information on the Ziebart franchise business opportunity, Ziebart franchises or Ziebart franchising, then you have come to the right place. Ziebart is the world's leading name in automotive services that renew, protect and preserve cars and trucks. For over 40 years, Ziebart has developed its own renowned products and technology to protect vehicles against such damaging elements as dirt, pollution, heat, ultraviolet rays and rust. Today Ziebart is the world's largest installer of automotive accessories, including window tint, sunroofs, alarms, hitches, running boards, bed liners and other components to protect and enhance vehicles. Ziebart also installs sprayed on truck bed liners with quality partners such as Rhino Linings, as well as repairing and replacing any damaged automotive glass on vehicles with our Speedy Auto Glass and vitro Auto Glass partners. Brand name recognition is always an advantage in today's competitive auto aftermarket marketplace. Ziebart is an established name that has been around for more than 40 years. In a world where increasingly expensive cars and trucks have generated the demand for a higher level of expert care, no one can question the potential of a Ziebart franchise. 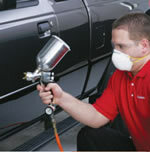 Vehicle owners, more than ever, continue to spend money enhancing and protecting their cars and trucks. Ziebart services this need with an established brand name that has over 40 years of experience and technology. We are currently seeking qualified business people that have a passion for the automotive industry to join our system as owners/operators. If you like the automotive industry and want to be involved in a business whose vision is to be the worldwide leader in automotive appearance and protection services, then Ziebart may be the business opportunity that you have been looking for. You will be in business for yourself, but not by yourself! With over nearly 50 years of operations, Ziebart International has developed an exceptional business format, complete with sophisticated support services, to help guide our franchise owners toward success. 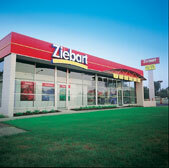 We're always delighted to answer any questions you have about operating a Ziebart store.